We are moving to rentacam.sydney - find us there! Gain greater control over your gimbal shots with the Zhiyun-Tech Crane-2, a 3-axis handheld stabilizer with an integrated follow focus control. 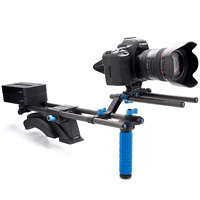 The Crane-2 supports DSLRs, mirrorless cameras, and camcorders weighing up to a solid seven pounds. 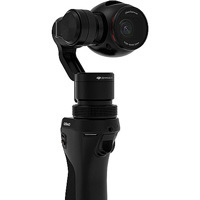 Connect your camera (with an autofocus lens) to the gimbal via cable, then adjust focus using the large thumbwheel on the handgrip. The Crane-2 offers three levels of focus control, enabling you to fine-tune your focusing based on the lens used, and the shot itself. 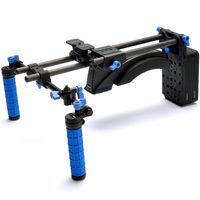 Zhiyun-Tech Crane-2 3-Axis Handheld Stabilizer is now available for rent from RENTaCAM Sydney. Supporting cameras between 2 and 12 pounds, the Devin Graham Signature Series Hand-Held Stabilizer from Glidecam combines features of their HD-Series stabilizers with many professional features from more elaborate body-mounted systems to transform your shaky handheld footage into smooth, graceful shots. 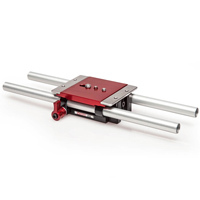 Its precision camera balance platform incorporates a quick-release, sliding dovetail plate that lets you quickly attach or remove your camera, and features fine-tuning control knobs that enable precision front-to-back and side-to-side adjustments for horizontal balancing. Further aiding balancing is a 1" diameter telescopic center post with laser engraved guide markings and a position-adjustable gimbal for quick vertical balancing. 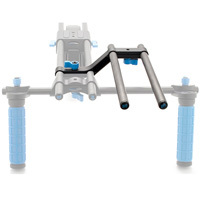 Rounding out the system is the dynamic base platform that supports the included counterweights and can manually expand or contract, allowing you to adjust the system dynamic balance and rotational pan inertia of the system. Now available for rent from RENTaCAM Sydney. The 1.2kg Merlin Vest is the lightest and thinnest ever made - it can even be worn under a tuxedo jacket - and it’s designed to fit the entire gamut of human sizes and shapes. 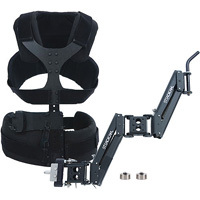 For 23kg eight-year-olds or 150kg linebackers, the Merlin Vest provides complete comfort and functionality for extended productions and long continuous shots. All adjustments are ‘no-tools, including the right-arm/left-arm changeover. 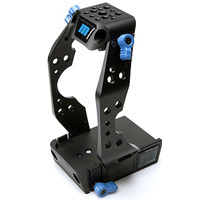 The Merlin Arm is ultra-light and extremely capable. 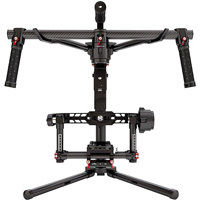 It’s a 7/8 scale version of its big brothers, the Flyer, G-50 and G-70 arms, and provides the same legendary performance and flexibility including instant, knob-adjustable control of lifting power for camera payloads between 1.1 and 3.2 kg. 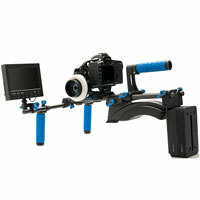 Steadicam Merlin can be used with Canon EOS or Nikon cameras and lenses and is available for hire from RENTaCAM Sydney. 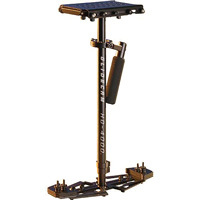 The Steadicam Merlin offers light, agile, seamless shooting for today's videographer. Ultra-light and ultra-compact, the Steadicam Merlin allows you to keep up with the action more easily than ever. Merlin's design significantly reduces fatigue. So lightweight, it weighs less than a can of soda. With a compact DV, balanced and ready to go, the Merlin weighs about two pounds. Its rigid construction permits longer focal lengths than ever imaginable with a hand-held stabilizer. 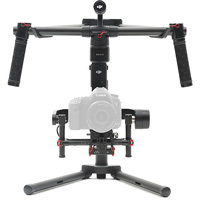 Steadicam Merlin can be used with Canon EOS cameras and lenses and is available for hire from RENTaCAM Sydney. The Glidecam HD-Series offers advanced features and a degree of sophistication never before seen in a line of Hand-held Camera Stabilizers. 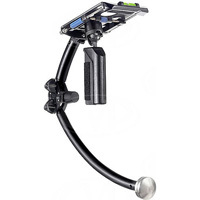 With the Glidecam HD-Series hand-held Stabilizers your camcorder seems to float, always balanced, isolated from your hands undesirable motions. 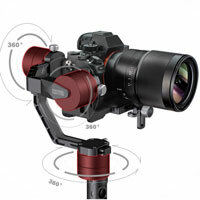 Now you are free to move with your camera - panning, tilting, booming or running without any camera instability or shake. 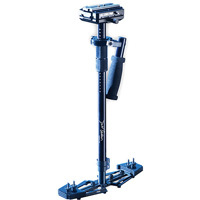 Glidecam HD-4000 is now available for rent from RENTaCAM Sydney. 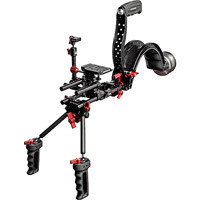 With the forearm brace, the Glidecam system becomes an extension of the human body for smooth and natural shooting. 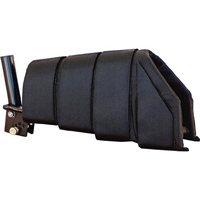 Distributes the weight of the system over your entire forearm. 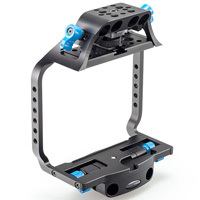 The weight of the system is supported evenly by Glidecam's exclusive and unique, exoskeletal forearm support brace. 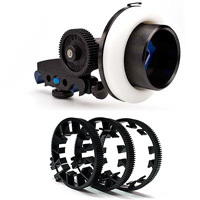 The brace not only provides you with cushioned comfort while shooting, but also eliminates torque, which would otherwise cause stress on your wrist. 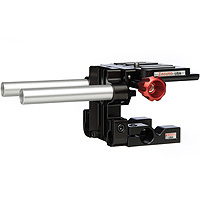 The Manfrotto RC Clamp LANC Remote Control is used with LANC (Canon/Sony) cameras and can be clamped onto round tubes with 0.47-0.9" (12-23 mm) diameters using a quick-lock fastening clamp. It can be easily attached to a pan bar. 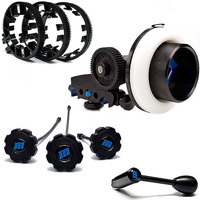 With efficient quick lock and speed controls, the unit enables quick camera set up. 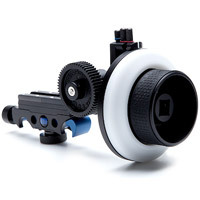 A max-speed zoom potentiometer allows you to adjust the zoom speed of the camera. 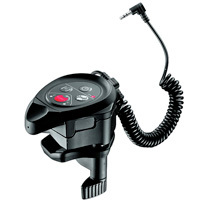 Manfrotto RC Clamp LANC remote control for Sony, Canon and Blackmagic is now available for hire or rent from RENTaCAM Sydney.